Trousers by GREEN COTTON in fashionable, wide, ankle-length style with slanted pockets and elasticated waistband with drawstring with tie bands. 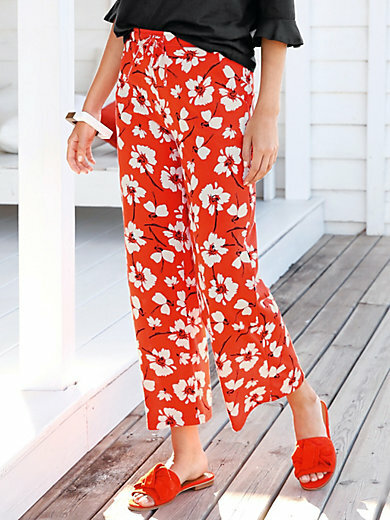 Colourful floral print. Made of 100% cotton, GOTS certified. Length approx. 26ins. The trousers are machine washable.